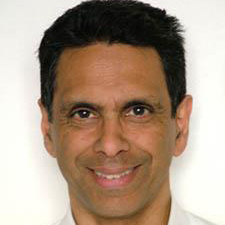 Yudhishthir Raj Isar is a professor of cultural policy studies at the American University of Paris. He is an analyst, advisor and public speaker who straddles the differing worlds of cultural theory, experience and practice. He is a professor of cultural policy studies at The American University of Paris (Jean Monnet professor, 2003-2008), an eminent research visitor with the Institute for Culture and Society at the University of Western Sydney, Australia (2011-2013) and a visiting professor at several additional universities. With Helmut Anheier, Yudhishthir was the founding co-editor of the Cultures and Globalisation Series [SAGE], whose five volumes were published between 2007 and 2012. He has been a trustee of various cultural organisations in Europe and a consultant to the European Commission, the World Bank, the Organisation of American States, the European Cultural Foundation and UNESCO. From 2004 to 2008, he was the president of the European arts and culture advocacy platform Culture Action Europe. Previously he worked for UNESCO, as an international broker of ideas for almost three decades, notably as the executive secretary of the World Commission on Culture and Development, the director of Cultural Policies and the director of the International Fund for the Promotion of Culture. In 1986-87. He was also the first executive director of the Aga Khan Program for Islamic Architecture at Harvard University and the Massachusetts Institute of Technology [MIT]. He was educated at St. Stephen’s College, Delhi, the Sorbonne and the Ecole des Hautes Etudes en Sciences Sociales, Paris.